Too often the experiences, stories and contributions of children are romanticized, overlooked, or entirely absent from our history books. As is often the case, the least powerful in society leave little trace of their lives. Those childhoods that were documented and preserved can be quite telling. The exhibition, A Little History: the Hidden Stories of Children, at the Canadian Museum of History presents rarely seen archival documents, photographs, works of art and artifacts from the collections of both the Canadian Museum of History and Library and Archives Canada. The exhibition recounts the unique experiences of children found in archival documents. Children are rarely the authors of their own histories. Fragments of their stories lie within the materials that adults produce—from formal portraits found in family collections to documents in government and institutional records. These traces of their experiences help reveal the attitudes of adults toward them and the impact of laws and policies on them throughout history. Before the advent of photography, painted portraits were the only visual records of individuals. The absence of portraits of poor children demonstrates how this type of art was exclusive to the affluent. This portrait of the Pelletier sisters reflects their wealth and status. 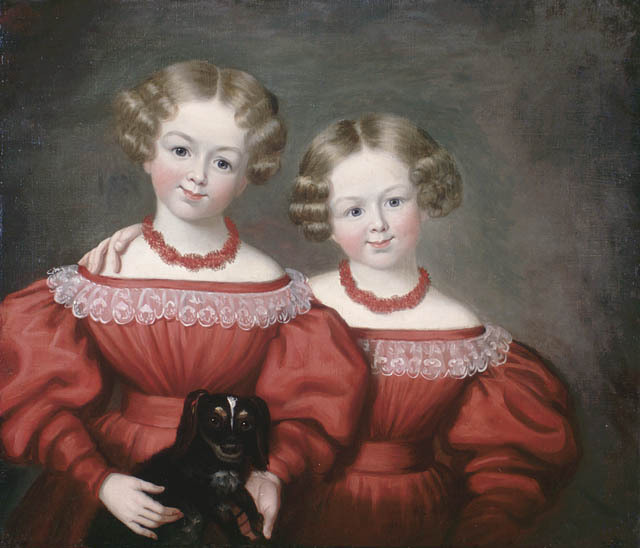 Depicted as little adults, the girls are dressed stiffly, holding a miniature dachshund (a symbol of fidelity), and wearing coral necklaces, which were believed to ward off childhood diseases. Institutional records are a key source of information about children. The “child-saving” era of the late 19th century saw the creation of a number of child welfare organizations, such as the Children’s Aid Society. These charities sought to help poor, abandoned and neglected children by operating orphanages and training schools, and providing adoption services. Child-rescue workers used photography to both document and promote their work, often invoking contradictory images to draw attention to their cause by portraying children as both innocent victims and criminals in training. When viewing the past through adult eyes, the role and presence of children is sometimes obscured. But children were also involved in or felt the impact of significant events in Canadian history. 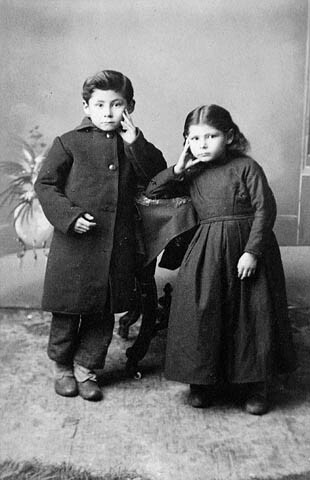 Jean-Louis and Marie-Angélique were born in Montana during the political exile of their father and Métis leader, Louis Riel for his role in the 1870 Red River Resistance. After their father’s execution in 1885, Marie-Angélique went to live with an uncle in Winnipeg, where she died of tuberculosis in 1896. Jean-Louis took his mother’s family name, moved to Montréal, and later died at the age of 25 in a horse-and-cart accident. 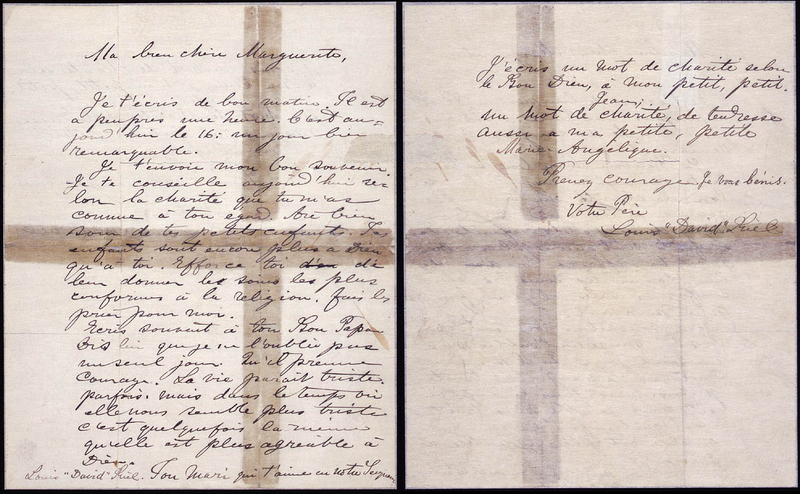 This last letter from Louis Riel to his wife and children offers a private view of the Métis leader. Written on November 16, 1885, the day of his hanging in Regina, Riel speaks of his children, asks his wife to “have them pray for me” [translation] and ends his letter with “Take courage. Bless you. Your father, Louis ‘David’ Riel.” [translation]. Items created by children are often ephemeral and seldom preserved in collections. Those that have been preserved can be challenging to find as they are frequently subsumed within the broader histories and heritage of their families and communities and are rarely catalogued as being child-made. For these reasons, it is easiest to find material created by children who grew up to be important adults or were related to a famous adult. 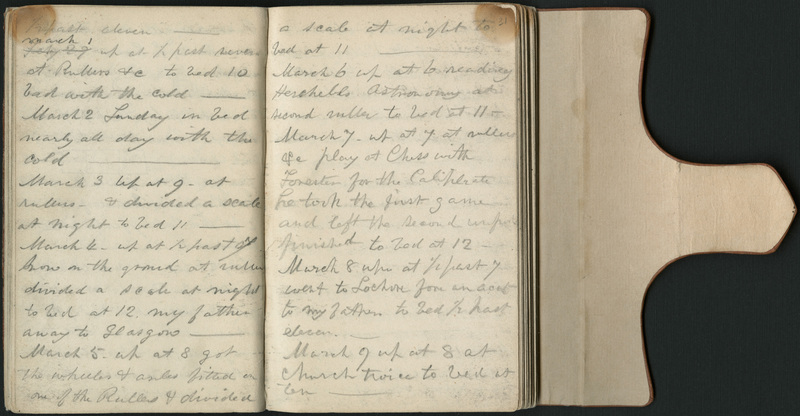 This diary, kept by 16-year-old Sandford Fleming, seems to foretell his later success as an engineer and inventor. Filled with architectural plans, scientific formulas, and inventions, the diary exemplifies Fleming’s industriousness. Children’s letters and diaries provide a rare glimpse into their private worlds, revealing their unique ways of speaking, thinking and interpreting the world around them. Intimate, candid, and sometimes whimsical, the diaries, letters and drawings created by children invite us to see history with fresh eyes. This diary of 16-year-old Arthur Lawson invites us to understand his childhood sense of self and the world around him. 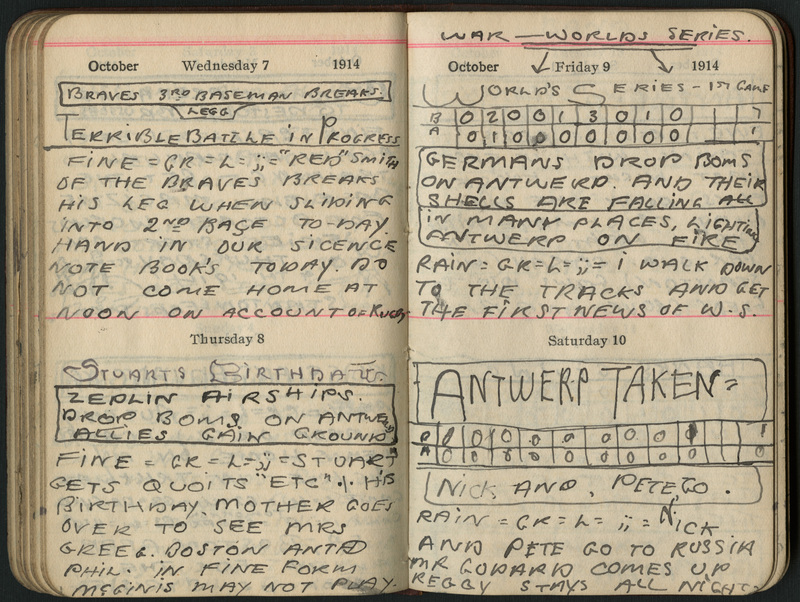 Written at the beginning of the First World War, Lawson’s headlines about the battles raging overseas seem casually inserted alongside mundane notes about the weather, family events (like his brother’s birthday) and the scores of the 1914 World Series between the Boston Braves and the Philadelphia Athletics. 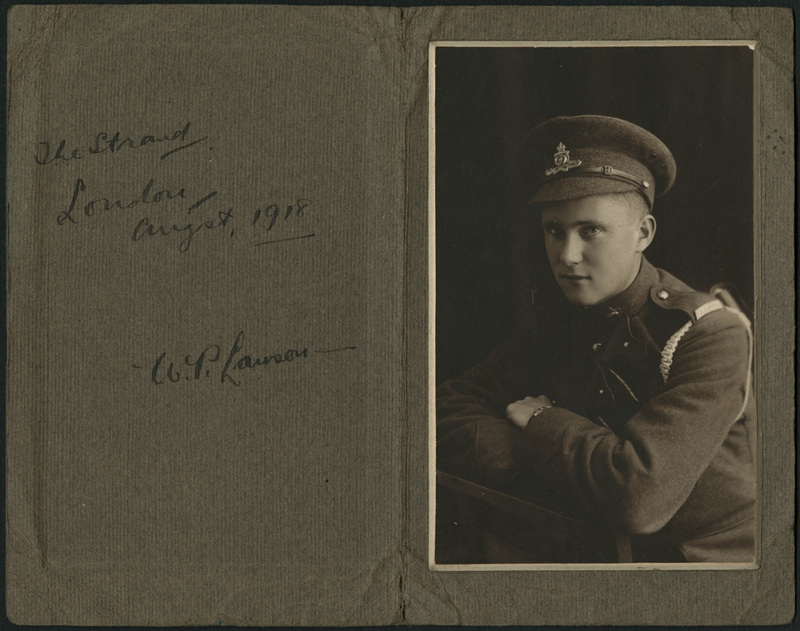 Before the war was over, Lawson enlisted. 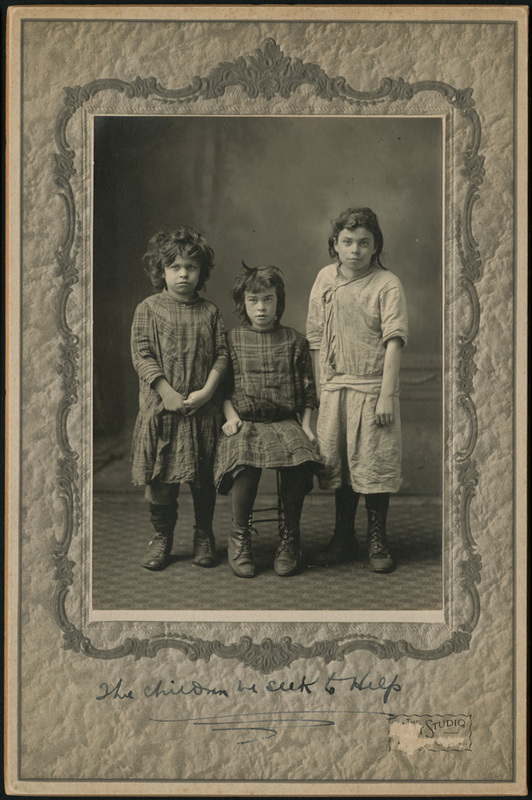 For more examples of these intriguing stories, visit A Little History: the Hidden Stories of Children on display in the Treasures from Library and Archives Canada gallery at the Canadian Museum of History from March 30, 2018 to January 27, 2019. This entry was posted in Art, Exhibitions and tagged Canadian Museum of History, child, children, Children’s Aid Society, documents, exhibition, hidden, Lawson, little, Louis Riel, Pelletier, Sir Sandford Fleming, stories, treasures by Library and Archives Canada Blog. Bookmark the permalink.